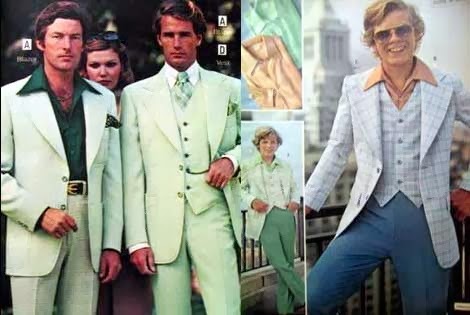 Younger readers might have heard their parents and grandparents talk of the fashion disasters of the seventies (left) and eighties (right) with embarrassment and shame. And perhaps rightly. Oh and how you laugh, I am sure. But think on, as you don your onesie in an effort to look like '1D'. Your elders' shame and embarrassment will be as nothing when, in years to come, you look at photos of you, as a bona fide adult, dressed up as some sort of toddler. You will not be the one laughing then. 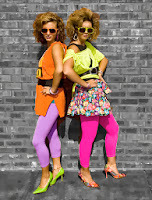 Before death, you will pray for dayglo tights and big hair or hang-glider-collared paisley shirts and bell-bottoms. A couple of half-wits, yesterday.